With the new i1Profiler software, X-Rite has developed a next generation toolset that combines the best features of its i1Match, ProfileMaker and MonacoPROFILER solutions. i1Profiler software offers an unprecedented level of flexibility to address the needs of digital imaging workflows. 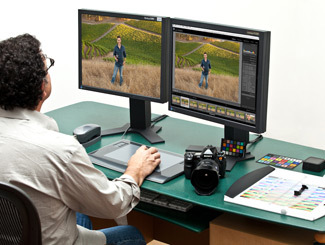 It features a number of unique color management capabilities, adding to users' power and control in creating professional quality profiles. Users can chose between a 'basic', wizard-driven interface; or an 'advanced', user-driven interface to create high quality, precise, custom color profiles for monitors, projectors, printers, and presses. 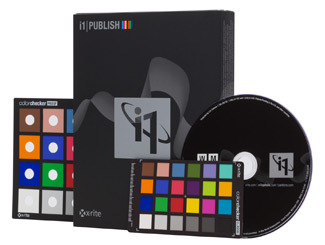 At the core of i1Profiler is X-Rite's i1Prism engine, whose unique iterative profiling technology lets users build printer profiles for up to 8-color workflows (RGB, CMYK and CMYK plus any 4). 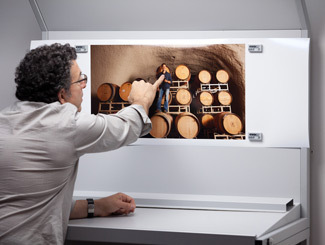 This reliable, iterative technology is extremely robust, allowing for further profile optimization based on any combination of images, spot colors or captured colors. 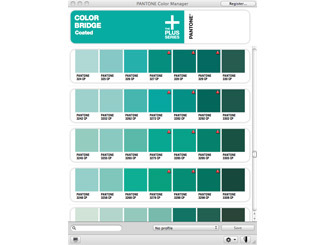 Users can select from any of the included digital PANTONE color libraries, including the new PANTONE PLUS SERIES. This results in the best possible image quality and color accuracy. Using just one software tool, users can optimize their profiles, build profiles with ambient light measurements, correct for optical brighteners in their papers, and utilize simple yet advanced controls for black separation. i1Profiler lets users save and reuse assets or preferred settings with drag-and-drop functionality - meaning profile generation workflows can be created or shared with others quickly, easily, and efficiently. 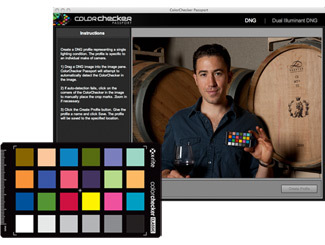 This exchange functionality also allows users to communicate palette information and other color data across the office or across the globe using X-Rite's Color Exchange Format (CxF) for the most comprehensive digital color data exchange. +Upgrade - i1Basic to new i1Basic Pro? +Upgrade - Where and how to order an i1Publish upgrade? +Ambient Light Smart Control: What is it...what does it do? +Chromatic Adaptation - What is it...what does it do? +Display Quality and Uniformity...What Do They Do? +Flare Correct™ - What is it and what does it do? +How can I Find out What Applications are ICC Compliant? +PM5 Optical Brightener Correction -> How to achieve in i1Profiler? +PM5 UCR/GCR Settings -> How to achieve in i1Profiler?